We have news for you! Take a couple minutes to watch our latest episode of 2 Minutes with GO (Ok, maybe it’s almost three minutes! ), and hear Joe Knittig, CEO of The Global Orphan Project, share news about what’s happening through our ministry and marketplace initiatives. He will also share three practical ways you can help kids and families around the world! You can now meet urgent needs of children around the world in real time! 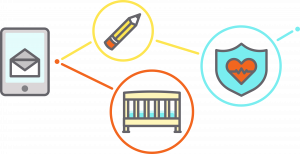 Using our CarePortal technology, which has led to overwhelming impact serving kids in the U.S., our local partners are now sharing requests on behalf of vulnerable children and families internationally. We’re excited to share this news with you because we believe this new avenue could have powerful implications for how we work together to meet needs of the vulnerable. Please take a look at requests currently open, and share this opportunity with your friends, family and community. Donate to cover the entire request, or donate a portion and invite your friends to collectively meet a need! It’s amazing what can happen when we all give a little! 2. Saturday, May 11 — Don’t miss out! 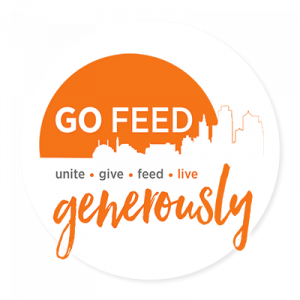 This community is blowing us away with support of GO Feed 2019! Sessions 1 and 2 are already full! But we’re still recruiting more volunteers to help us pack more than 270,000 meals for kids on Saturday, May 11, from 3:30 – 6:15 p.m. Register by April 26 for a free event tee! Who is your Forevery child? Who is the child who changed the way you look the world? Who is the child who showed you what really matters? Who is the child that changed your heart? Join the #careforeverychild movement and help inspire others to stand for kids. Celebrating A New Partner in the Congo!